Shooting has wrapped on Jack Reynor’s directorial debut ‘Bainne‘, which marks the Irish actors first short film as a writer and director. Reynor is most well-known for his appearances in films such as ‘What Richard Did’, ‘Sing Street’, ‘Macbeth’ and the forthcoming ‘Midsommar’ by ‘Hereditary’ director Ari Aster. 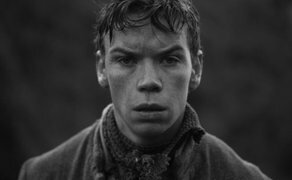 Starring Will Poulter (‘The Little Stranger’, ‘Detroit’, ‘Glassland’, ‘The Revenant’), Kelly Thornton(‘Sing Street’, ‘Life’s A Breeze’), Toni O’Rourke (‘Cardboard Gangsters’) and Steve Wall (‘An Klondike’, ‘Vikings’), ‘Bainne’ is set during the last year of The Great Famine in Ireland, telling the story of a farm hand who’s humanity is challenged by a ghostly female figure. Co-funded by Sky Arts and Screen Ireland, the film was shot entirely on location in Reynor’s native Blessington, Co. Wicklow. "We are delighted to be involved in Bainne, immediately attracted by the strength of the script and evocative vision for the film from Jack Reynor. It is exciting to be supporting this film in conjunction with Screen Ireland." The film is co-funded by Sky Arts and Screen Ireland and will air on Sky Arts in 2020. Emer O’Shea and Lara Hickey are producing for Reynor’s Irish-based company Anabasis Films. The film has a strong Irish creative team including DOP Dave Grennan (‘Maze’, ‘What Richard Did’), Editor Nathan Nugent (‘The Little Stranger’, ‘Room’) and Production Designer Padraig O’Neill (‘Song of Granite’, ‘An Klondike’).